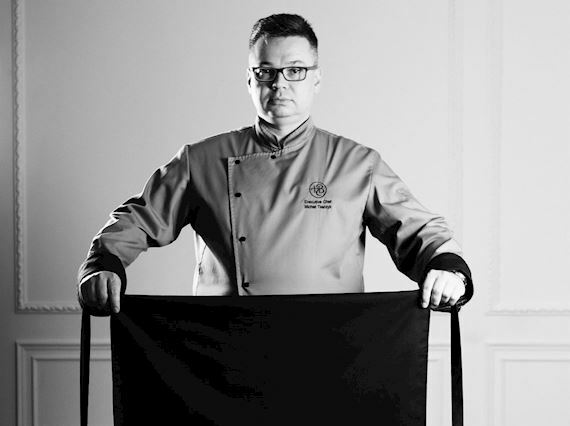 Michał Tkaczyk's relationship with the Hotel Bristol, Warsaw goes back to 1992 when he started working for one of our restaurants. Leaving in 1995, he came back as Executive Chef between 2008 and 2014. Having gained the experience outside the world of hotels, he returned to the Hotel Bristol kitchen in 2017 to further develop and take the culinary challenges of five-star hotel. Chef Tkaczyk guarantees exceptional culinary experiences for our guests in hotel's four venues comprising Marconi Restaurant, atmospheric Column Bar, cutting-edge Bristol Wine Bar located on the front of the hotel and the iconic Café Bristol. Chef Tkaczyk is always ready to welcome our guests in one of our alluring banqueting venues. 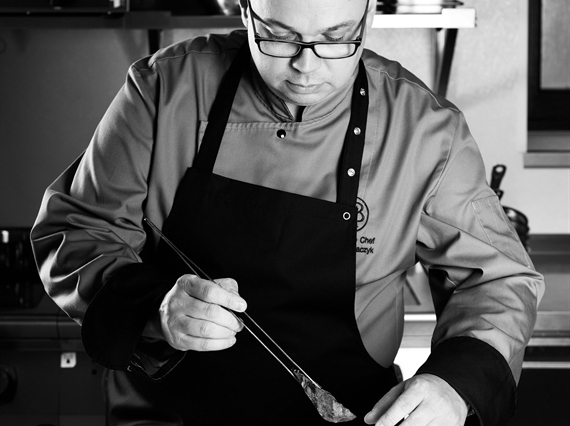 Mr. Tkaczyk studied at the renowned Academy of Hotel Management and Catering Industry in Poznań (WSHiG), the School of Tourism, Hospitality and Gastronomy (ZSHTG) in Warsaw as well as at the Warsaw School of Gastronomy. He started his career with a successful experience abroad in one of Northern Italy's Michelin Star restaurants, Miramonti l'altro. Previously, Mr. Tkaczyk was the head Chef at the acclaimed Warsaw Elixir Restaurant by Dom Wódki that featured in the Michelin Guide of 2016 and 2017 and that received the Gault & Millau 2 Hats recommendation in 2017. In this capacity, he pursued the inventive exploration of paring food with Polish alcohols. Throughout his career he had the honor of serving His Holiness the 14th Dalai Lama, His Imperial Majesty Akihito, the Emperor of Japan and His Majesty Prince Albert, Prince of Monaco, among others.